To provide an introduction to this book, we explain the motivation to publish this volume, state its main goal, characterize its intended readership, and give an overview of its content. To this purpose, we briefly summarize each chapter and put it in the context of the whole volume. We also take the opportunity to stress connections between the chapters. We conclude with a brief outlook. 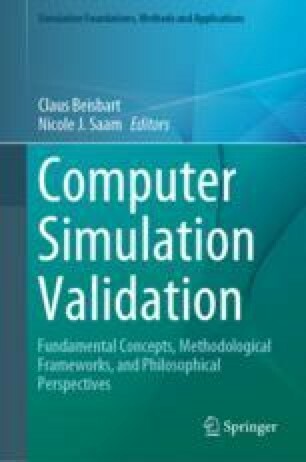 The main motivation to publish this volume was the diagnosis that the validation of computer simulation needs more attention in practice and in theory. The aim of this volume is to improve our understanding of validation. To this purpose, computer scientists, mathematicians, working scientists from various fields, as well as philosophers of science join efforts. They explain basic notions and principles of validation, embed validation in philosophical frameworks such as Bayesian epistemology, detail the steps needed during validation, provide best practice examples, reflect upon challenges to validation, and put validation in a broader perspective. As we suggest in our outlook, the validation of computer simulations will remain an important research topic that needs cross- and interdisciplinary efforts. A key issue is whether, and if so, how very rigorous approaches to validation that have proven useful in, e.g., engineering can be extended to other disciplines.